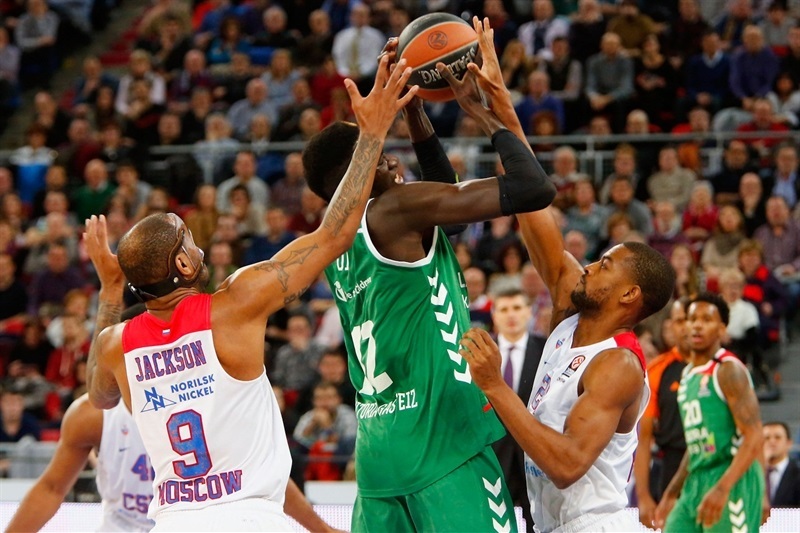 In one of the most intense and physical games in the Turkish Airlines Euroleague this season, Laboral Kutxa Vitoria Gasteiz downed CSKA Moscow 81-71 at home in Group F on Thursday. 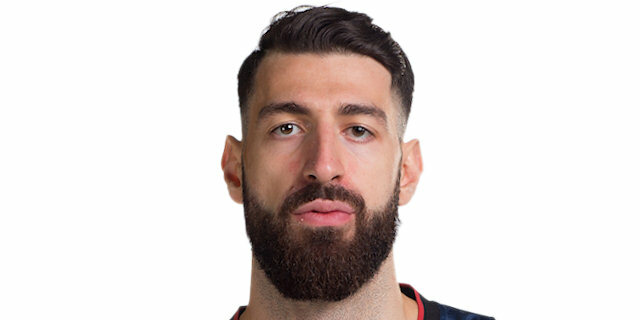 Both teams now have 2-2 records in Group F. Ioannis Bourousis led the winners with 19 points and 13 rebounds, Fabien Causeur added 15 points, Darius Adams 13, Toko Shengelia 11 and Adam Hanga 10. 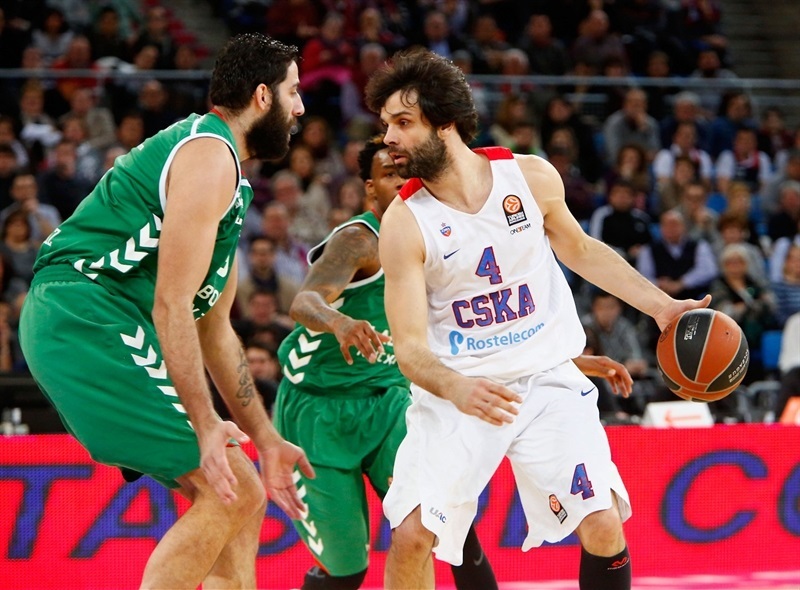 Milos Teodosic led CSKA with 18 points and 7 assists. 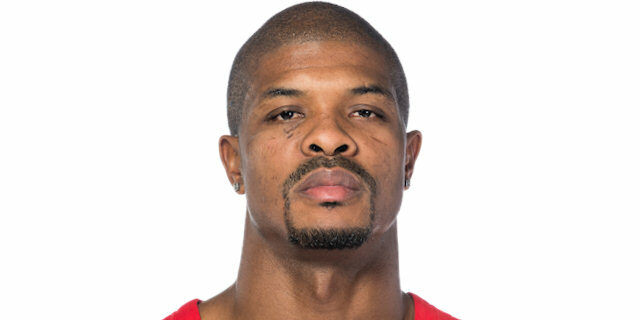 Kyle Hines added 11 points and 11 rebounds, while Vitaly Fridzon and Cory Higgins each scored 10 points for the visitor. A minute of silence took place before the game to honor former Laboral player Sherron Mills, who passed away earlier this week. Adams and Bourousis shined early to help Laboral to an 18-10 lead after 10 minutes. Free throws by Bourousis made it a double-digit game, 22-12, but Teodosic, Hines and Higgins helped CSKA tie the game, 34-34, at halftime. Shengelia took over after the break and a three-pointer by Causeur boosted his team's lead to 55-47 late in the third quarter. 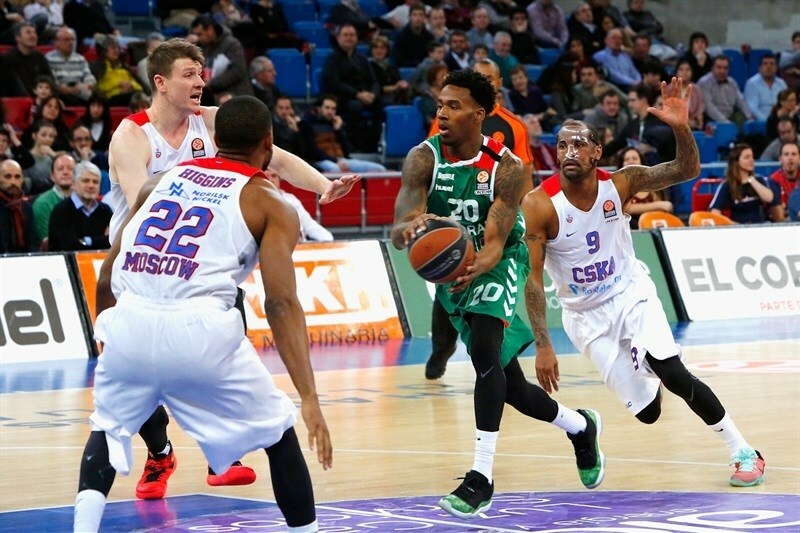 CSKA got within 57-54 after 30 minutes and took its only lead of the game, 69-70, on a triple by Higgins. Bourousis and Causeur each hit one from beyond the arc in a 12-0 run highlighted by Hanga's fast break dunk, which triggered celebrations among the 11,500 diehard fans in attendance. Darius Adams got Laboral going with a five-meter jumper and followed that with a layup off a steal for a 4-0 lead. Vitaly Fridzon beat the shot clock with an off-balance jumper, which Aaron Jackson followed with a layup to tie it. After Fabien Causeur struck from downtown, Jackson scored again and a dunk by Adam Hanga gave Laboral a 9-6 lead. Ilimane Diop hit a turnaround jumper, which Fridzon erased with a put-back layup. CSKA kept missing open shots and Laboral brought Bourousis int to get more of a low-post presence. Adams sank a one-handed running jumper, as the game turned into a physical battle. A layup by Toko Shengelia prompted CSKA to call timeout at 13-8. CSKA missed 9 consecutive shots until Milos Teodosic stepped up with a layup. A buzzer-beating triple by Jaka Blazic boosted the hosts' lead to 18-10 after 10 minutes. Victor Khryapa shined with a tip-in early in the quarter, but Bourousis found Kim Tillie for an easy basket and soon added free throws to make it a double-digit game, 22-12. 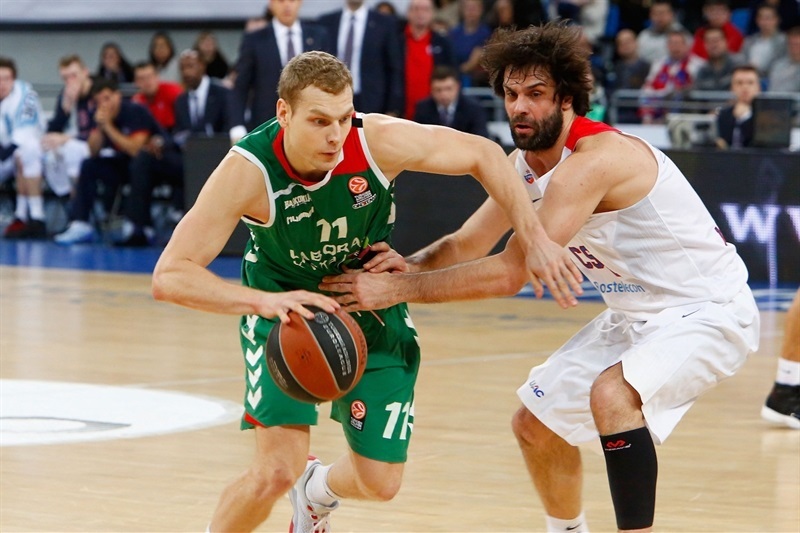 Khryapa kept pushing CSKA with another tip-in and Teodosic added a three-point play to give the visitors hope at 23-17. 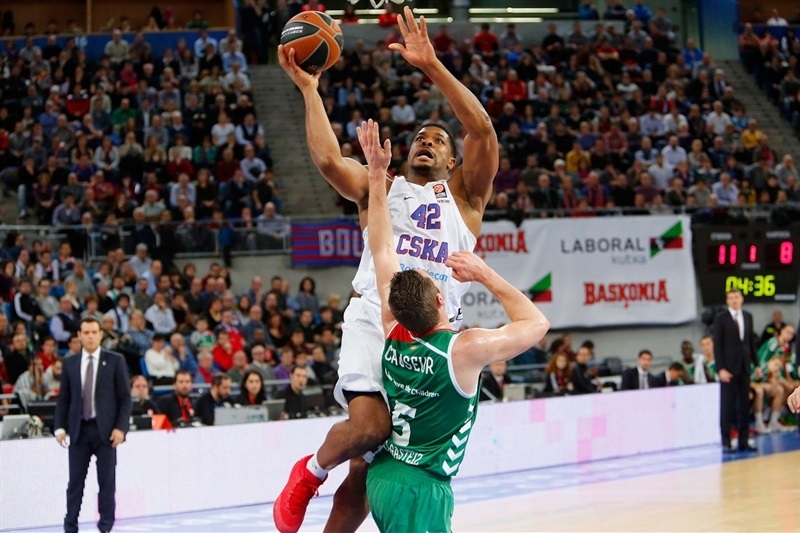 CSKA entered the foul penalty and Laboral started to play more aggressive. After Tillie ignited the crowd with a dunk, Kyle Hines split free throws and a tip-in by Bourousis pushed Laboral ahead 27-18. CSKA could not find the way to the basket – shooting 8 of 29 that point, when Dmitry Kulagin tried to change things with a reverse layup. 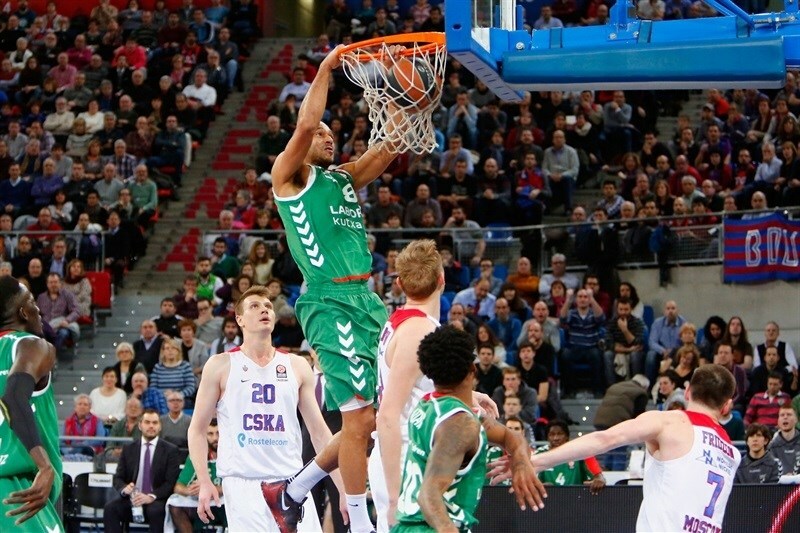 Hines added a power layup, which caused Laboral to stop the game at 27-22. Kulagin took over with another reverse layup and a jumper by Cory Higgins made it a 1-point game. Bourousis hit free throws and added a three-pointer to give Laoral plenty of fresh air at 32-26. Andrey Vorontsevich answered from downtown - CSKA's first triple - and a foul shot by Teodosic brought CSKA within 32-30. Higgins made free throws, before Alberto Corbacho scored around the basket. A jumper by Hines tied it, 34-34, at halftime. Causeur struck from downtown immediately after the break and a huge dunk by Shengelia boosted the hosts' lead to 39-34. Khryapa fed Hines for a layup, which Shengelia erased with free throws. 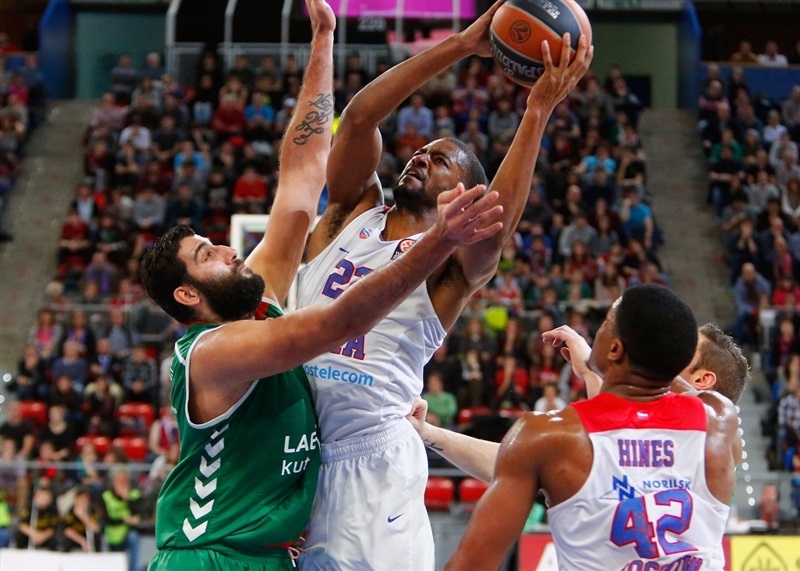 Khryapa kept pacing CSKA with a close jumper, but a red-hot Shengelia downed a three-pointer for a 44-38 Laboral lead. Adams scored in penetration and Fridzon responded with free throws. Hines scored around the basket, but Shengelia kept his team in front. Fridzon nailed a corner triple only to see Bourousis hit foul shots and Hanga add a fast break layup for a 52-45 advantage. 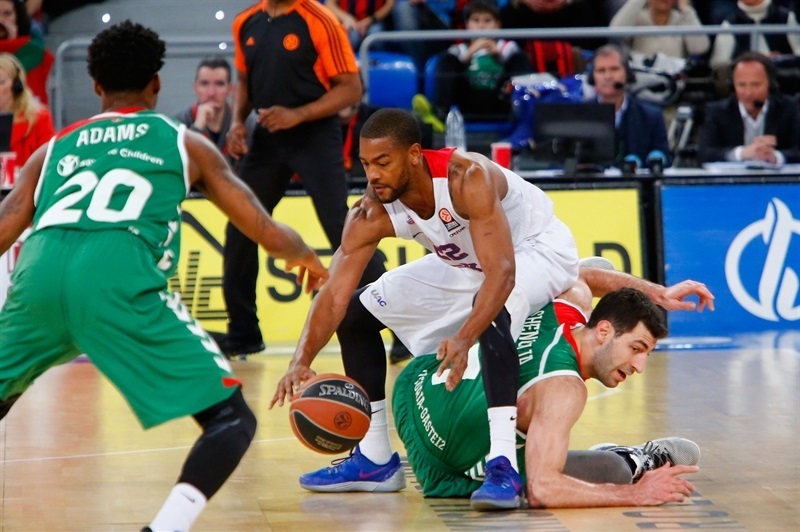 Teodosic hit foul shots, which Causeur bettered with a three-pointer to cause CSKA to call timeout at 55-47. Teodosic made more free throws and Kulagin fed Vorontevich for a slam. Higgins provided a highlight with a brutal dunk-and-foul to get within 1. Hanga scored down low to give Laboral a 57-54 margin at the end of the quarter. Teodosic buried a three-pointer early in the quarter, but Hanga quickly answered with a coast-to-coast layup to put Laboral back ahead, 59-57. 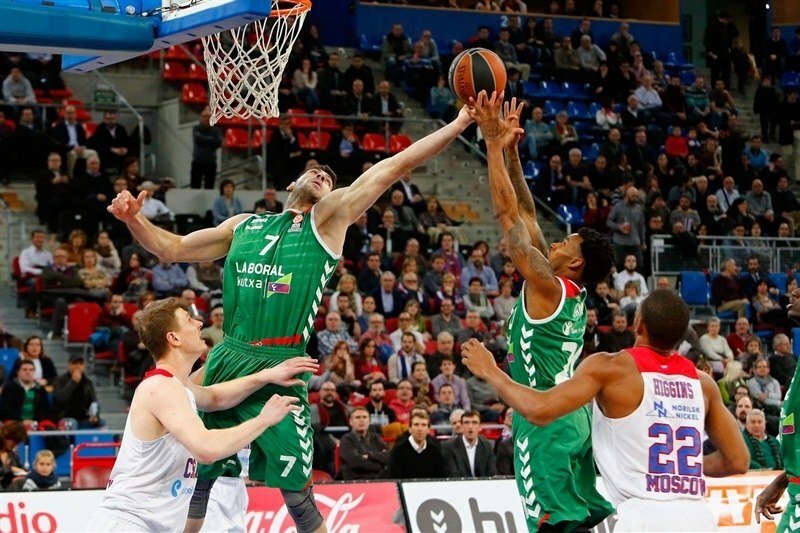 Teodosic kept pushing CSKA with an acrobatic layup, as Laboral started to miss open shots until Causeur hit one from beyond the arc, after which CSKA stopped the game at 62-59. Vorontsevich struck from downtown, but Diop swished a four-meter jumper and a fast break slam by Adams gave Laboral a 66-62 edge. Hines scored around the basket, but Adams did better with a three-pointer for a 69-64 Laboral lead with four minutes left. Teodosic nailed a seven-meter triple in transition, which prompted the hosts to call timeout at 69-67. Higgins soon buried a triple to give CSKA its first lead of the game, 69-70, with two minutes left. Bourousis answered from downtown and a fast break dunk by Hanga boosted Laboral's margin to 74-70 with 1:11 to go. CSKA struggled to score in a couple of key offenses and after a dunk by Tillie, Teodosic was ejected for arguing with a referee. 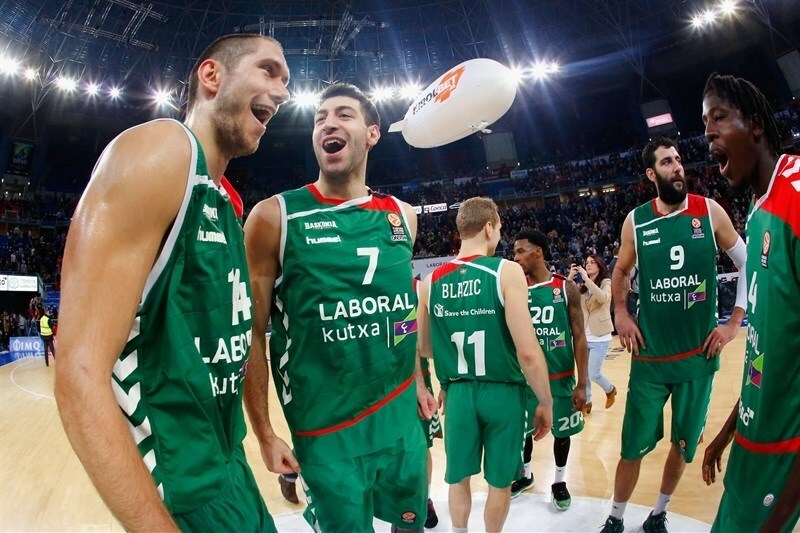 Bourousis iced the game from the line as the Laboral fans celebrated a big win. "I think we deserve a lot of credit for winning this game, especially because this win keeps us in the fight to qualify to the playoffs. If we had lost, we would have three losses already and taking into account that we will play Madrid and Barcelona on the road next, it would be more difficult to stay in that fight. I think we played a very good game against a top-level team. We deserved to win this game; we stopped their offensive rebounds, which hurt us a lot in the first half, and that was the key. Anyone could have won this game, but, in the end, we were more focused and played better in the final minutes to get this win. The team has been fighting for a while and has this fighting spirit. You can see what people really want to do things well. We played a solid game, all game long." "I usually start every post-game conference congratulating the opponent when we lose a game. 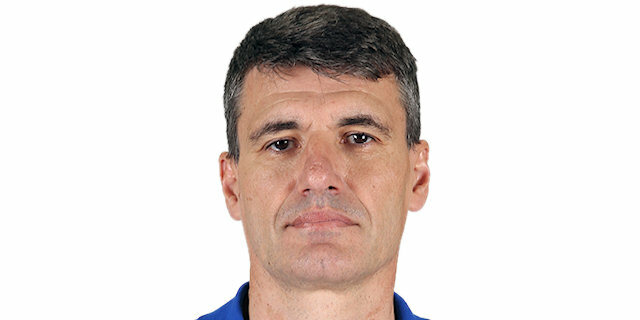 I don't want to disrespect the team of Laboral Kutxa, the organization and the coach, but tonight it wasn't a basketball game, it was wrestling…. We had our chances to win, we let Laboral get better into the game with their rhythm and shots. We missed our open shots, especially in the first half, where we had 1 of 11 – if I’m not mistaken - from beyond the arc. We managed to come back and take the lead. The three-pointer of Bourousis and the following turnover were key plays in this game and prevented us from winning in the end." "We played a good game. As I said before the game, we had to make as few mistakes as possible, play tough on defense and at the right rhythm on offense. We did all three things very well and this is what allowed us to win the game." "Today we didn’t necessarily play our best basketball, but I think everybody can see that Laboral prepared their team to play a very physical, very aggressive style of basketball. A lot of time I think that’s the way teams are deciding to play us now. It’s on us I guess to match that physical play. For us it feels like we come out every game, every time to try and prepare to play our best basketball and we don’t necessarily believe as a team, as a unit. We’ll come back next game and we’ll continue to play our physical, aggressive style of basketball. "